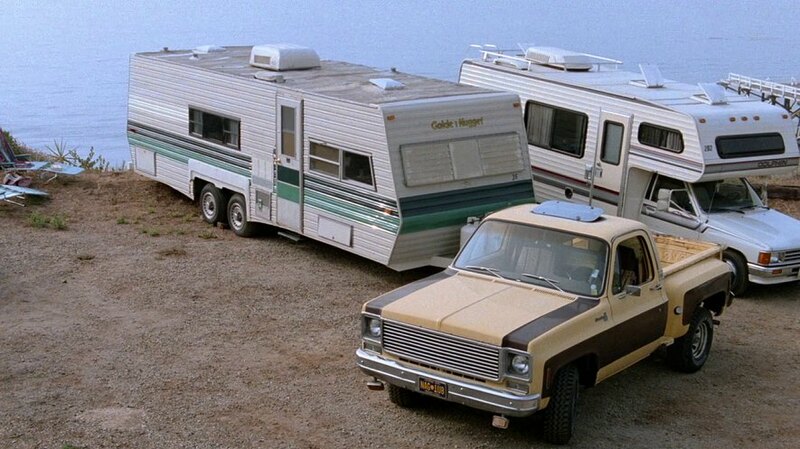 IMCDb.org: 1975 Chevrolet C-10 Stepside in "Baywatch, 1989-2001"
Could this be Chevrolet K-Series Stepside? It is, and with that custom grille it could be anywhere between 1973 and 1980(Reminder: Some 1980 GM pickups still had round headlights). To the right is a Toyota with a Dolphin motorhome body. Ddey65 wrote It is, and with that custom grille it could be anywhere between 1973 and 1980(Reminder: Some 1980 GM pickups still had round headlights). It's at least a 1975 because of the clear parking lights... unless they too were replaced. Half ton for sure. Not sure it is 4x4? Front ride height looks too low. Any better views? I agree, looks like a C-10.